Creative, energetic, diligent. When you see Elena in action delivering structured activities and supervision for youth at a local elementary school, these might be some of the words you would use to describe her. You would likely have no idea how hard she has worked to get to this place. 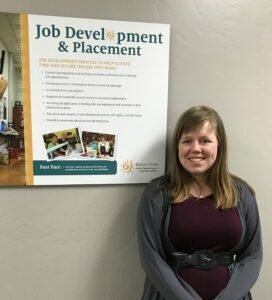 Elena works as a Program Leader in her position with AZ Community Enrichment, but just a few years ago, Elena, who has overcome several mental health disorders, was hardly able to leave home and had a hard time doing basic things for herself. Before coming to Beacon Group, she found it difficult just to talk to people. Learn more about Elena’s story and three specific ways that Beacon programs have moved her closer to her goals.